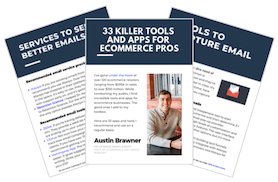 There are a lot of reasons why ecommerce email marketing fails. The question is, why is yours failing? Bad copy, uninteresting subject lines, failing to stand out, not providing value are just some of the reasons why email marketing fails, and there are 4 kinds of bad online business emailers that only make the problem worse. When done right, though, email marketing can have a huge positive brand and financial impact on your business. We’ve seen some companies implement great email marketing strategies where a majority of their emails get 10x the open rates and click-thru rates from their email community when compared to their competitors. The financial difference can be just as astounding. In this episode, we’ll talk about why email marketing fails and what you what you need to do to find success with your email and increase the bottom-line. The 7-8 main reasons why email marketing fails. 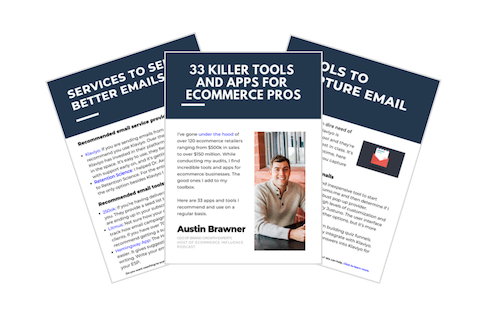 The different type of email failure profiles (the hammer, the discounter, the scattershot, the scaredy cat) You don’t want to be one of these. The #1 mistake people are making with email marketing. Here’s a hint: Segmentation. How to make more sales by providing relevant offers. The value of defining your best customers. What can you learn from brick and mortar stores? Why you should treat email like a direct mail campaign. Break down of time to purchase data.